to educate and enlist the help of students concerning water quality stewardship. 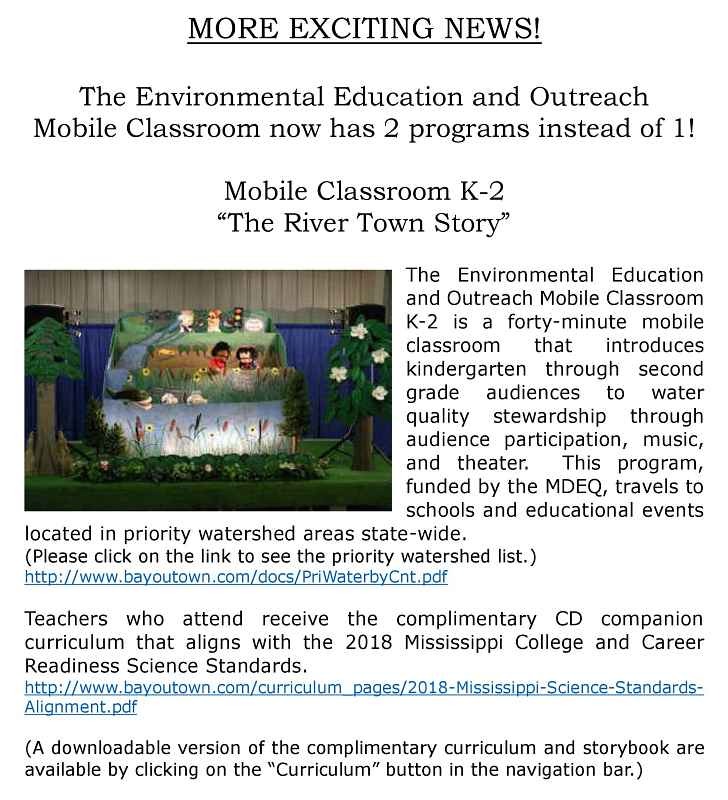 2) Mobile Classroom 3rd - 5th "All the Water in the World". 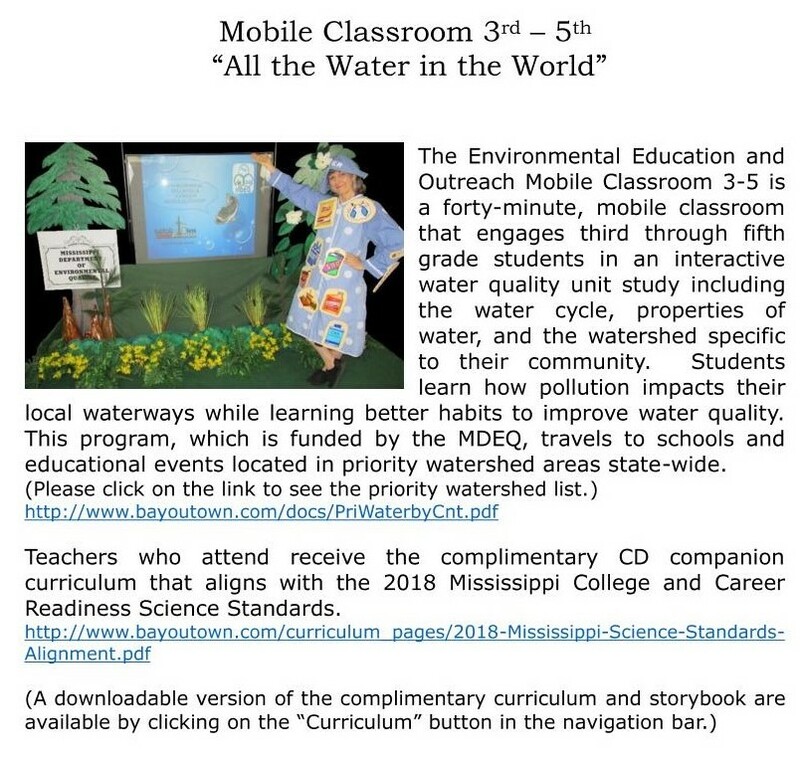 then click on the MDEQ Mobile Classroom Flier above in the navigation bar. 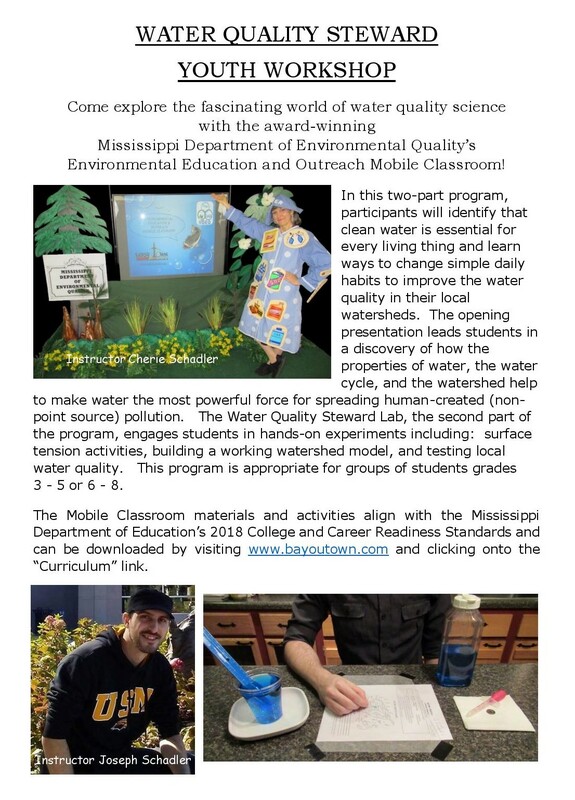 A portion of this program was financed by a grant from the United States Environmental Protection Agency to the Mississippi Department of Environmental Quality, Watershed Management Branch under the provisions of Section 319 of the Clean Water Act. Click on the MDEQ logo to visit the Mississippi Department of Environmental Quality website. Click on the EPA logo to visit the Environmental Education page at the Environmental Protection Agency Website. You will find science fair project ideas, games, Science and Art rooms, learn about garbage and recycling, and more! There are also resources available for teachers and high school students.